Are you seeking a way to make Christmas more meaningful this year? To help your children understand that Christmas is about more than presents? Join us at any of our services at 5 pm, 7 pm or 11 pm. All services include Communion, candlelight, and the singing of traditional Christmas carols. We love giving the children a chance to help us actively celebrate the birth of the Christ Child. Join us at 5 pm in our Great Hall for a family-friendly service that includes a special Trinity tradition: a Living Christmas Story. Children from age 2 – fifth grade are invited to play the parts of either angels, shepherds, sheep, wise men, or stars. There is no advance preparation necessary in order to participate, just plan to arrive by 4:45 pm in Room 303. Costumes are provided. The Living Christmas Story takes place only at the 5 pm service. This service also includes Communion, candlelight, singing of traditional Christmas carols. It is held at the Great Hall, a beautifully designed worship space with easy handicapped access, acoustic design features, and rocking chairs for parents with infants. 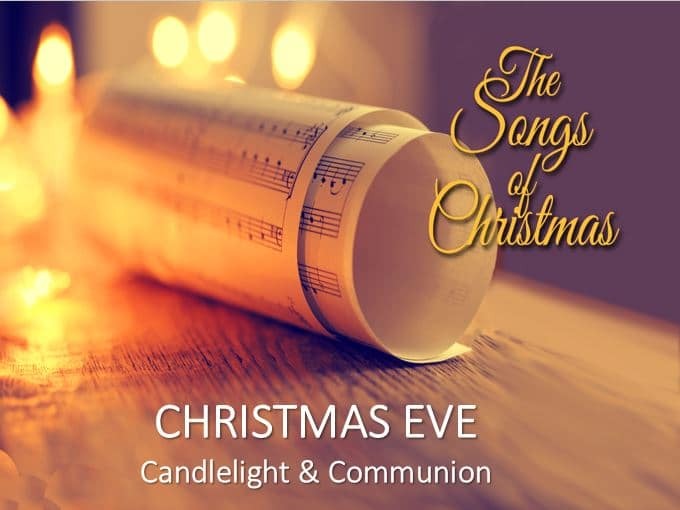 The 7 pm service includes traditional carols, candlelight, and Communion, with a brief sermon. There will be childcare for infants (aged six weeks) through preschool, and Children’s Chapel for children in Kindergarten through second grade. This service is held in the Great Hall. This service again includes traditional carols, candlelight, Communion, and a brief sermon. Childcare is not provided for the 11 pm service. For more information contact the church at 972-542-4629.